This is how I feel about GoodReader. Although GoodReader is not going to slice my fingers open, it’s an extremely useful and versatile app. It’s one of those apps that you may not use everyday, but if you want to get something productivity related done in a hurry, GoodReader will probably do it for you. GoodReader was one of the early apps on the iPad and it gained a cult following as it allowed iOS users to do things that Apple wouldn’t natively let them do, such as zipping files, sending multiple attachments in emails and organising documents into files and folders. This is really only the tip of the iceberg with GoodReader. I’ve used GoodReader since I’ve had an iPad and I was interested to see what their new app GoodReader 4 offered over the original GoodReader. GoodReader 4 does an awful lot of things, so I will only go over the main aspects of the app. Firstly, it connects pretty painlessly to pretty much any cloud storage and also WebDav. In practice this means that you can use GoodReader as a very solid portal for all of the different places that you have your files stored. 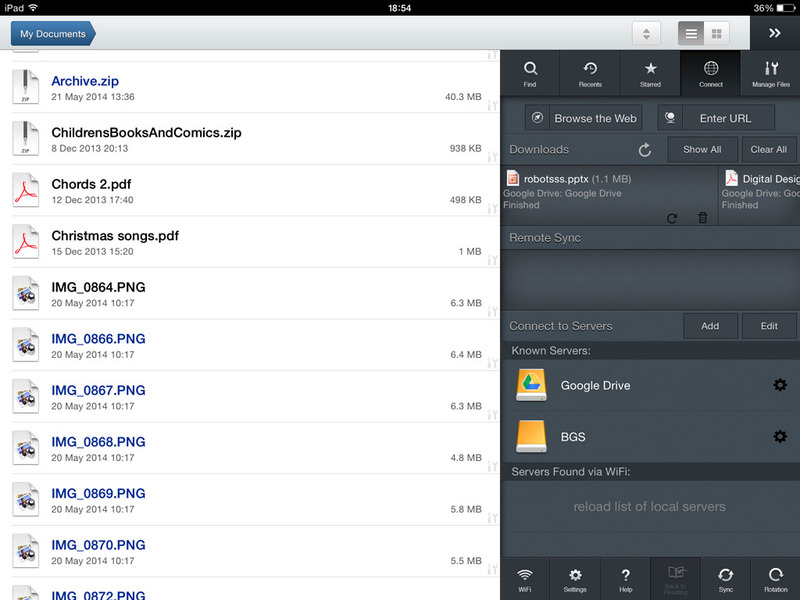 You can open your files within GoodReader, or other apps. If you are a fan of having a file structure, which is missing in iOS (until iCloud Drive comes along of course), GoodReader is a decent tonic to it. GoodReader can also handle most of the main file types that you are likely to use so there should be no compatibility issues. Once you have your file services connected, there are a multitude of things that GoodReader can do with your files. You can open them, zip them, password protect them, move them and rename them. You can use multiple selection to do things in bulk too which saves a lot of headache. 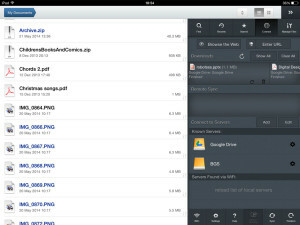 You can also download entire folders from cloud services as well as individual files. One of GoodReader’s huge strengths is it’s ability to handle and edit PDFs. 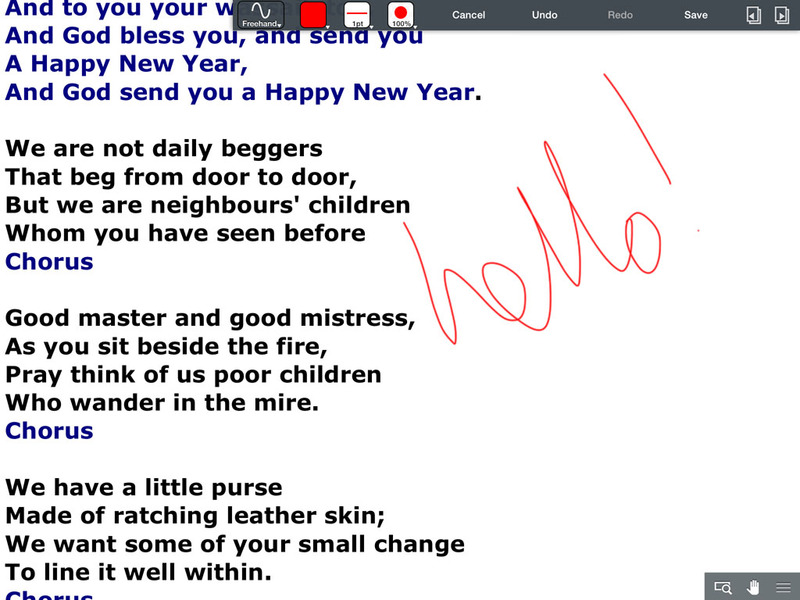 Opening a PDF in GoodReader 4 presents you with a dizzying range of options. You have the ability to extract text and copy it for another application, you can view the document in different ways, you can re-organise the document in terms of adding, deleting or moving pages within it. This is especially useful if you are dealing with a large PDF. You can extract a single page and email it off to whoever you need to. As well as the ability to organise, you can also annotate PDFs in a variety of ways. Pretty much most annotation options are available to you, and although the handwriting component is not quite as elegant as say Notability or Paper 53, it is perfectly decent. GoodReader 4 really is a polished app. It is a tinkerer’s dream as there are so many things to explore within it. One of the main questions with GoodReader 4 though is; is it worth upgrading to it from the original GoodReader, considering you have to pay to get the new app? If you are a real PDF warrior, then yes. 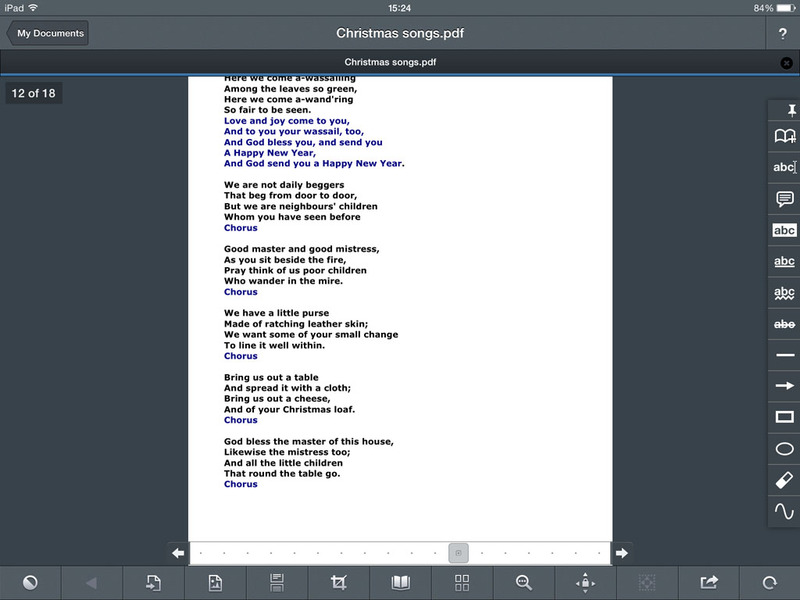 GoodReader 4 in the main adds the ability to do more with PDFs, as in manage individual pages within a document, but the file management side is pretty identical, even down to the look of the app. If you’re not so bothered about the PDF features then it’s probably better to stick with the original GoodReader for the moment. It’s worth noting that if you do upgrade, GoodReader 4 has a migration assistant which will import all of your stuff from the original GoodReader app. This worked completely painlessly for me. Finally, it also has excellent help documentation which is no waffle and straight to the point. If you don’t already have GoodReader and you use your iPad in any kind of productivity environment, then GoodReader 4 is a must, even if you think you don’t need it yet. There will be a time when you need to quickly zip something and email it, or do something to a PDF and GoodReader will be sitting there on your iPad, only too happy to help. GoodReader4 is available on the App Store here and is currently priced $2.99. Looking at the App Store description this is a sale price for a limited time so now might be a good time to pick it up.